The new center opened in May, designed as a day shelter that could also become a severe weather shelter as well. A local coalition of religious, civic and business groups recently realized a longtime dream of finding a way to aid the homeless in Eastern Washington County. 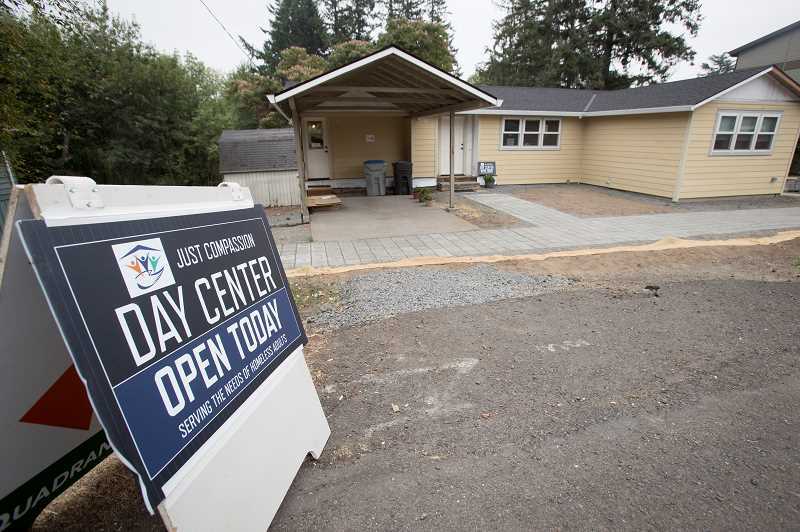 In May, Just Compassion opened its Tigard Resource Center in a home at 12280 S.W. Hall Blvd. with future plans to buy the 1,800-square-foot house. 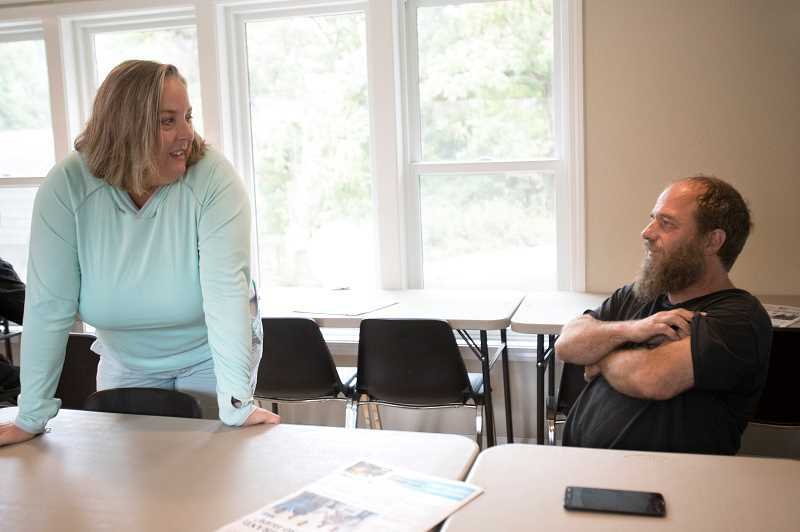 Staffed by volunteers, the center is designed to help the homeless by providing a day shelter where they can look for jobs, access mental health services, and find clothing and food (although it is not a food pantry). "Oh my gosh, this is a dream come true," Darla Tillman, Just Compassion Board chairwoman, said during a recent tour. "This has been a collaboration." She praised Rob Watson, another Just Compassion board member, for his help in finding the property — which includes the unassuming 1950s-era ranch-style home that comes complete with a basement — as well as establishing relationships with donors who are aiding in the home's renovation. "All the other properties we were looking at weren't the right zoning," said Watson, noting that Zabi Ghaffari, the owner of the property, has been extremely gracious in helping Just Compassion move towards purchasing the property. "Our biggest goal is just coming up with our down payment so we can buy this property." 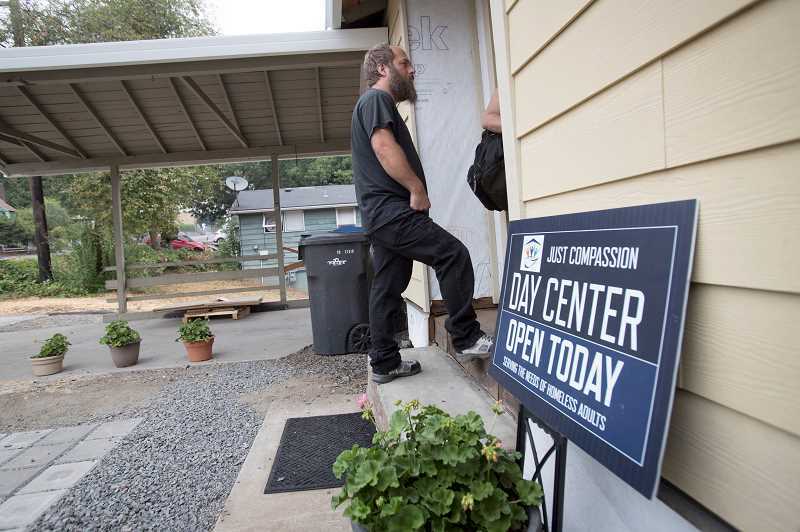 Prior to the opening of the resource center, Just Compassion, which has been around since 2009 and became a nonprofit in 2015, coordinated a twice-weekly day center for homeless individuals at Tigard Foursquare Church. So far, the resource center has been seeing from 14 to 22 individuals come through on the days it's open — Wednesdays and Thursdays from 10 a.m. to 2 p.m.
One individual who says he has used the new day center several times is Troy Rowles. "What do I like about it? It's the interaction with everybody," said Rowles, who has lived in his car for the last three years. "I'm homeless but I have a job." 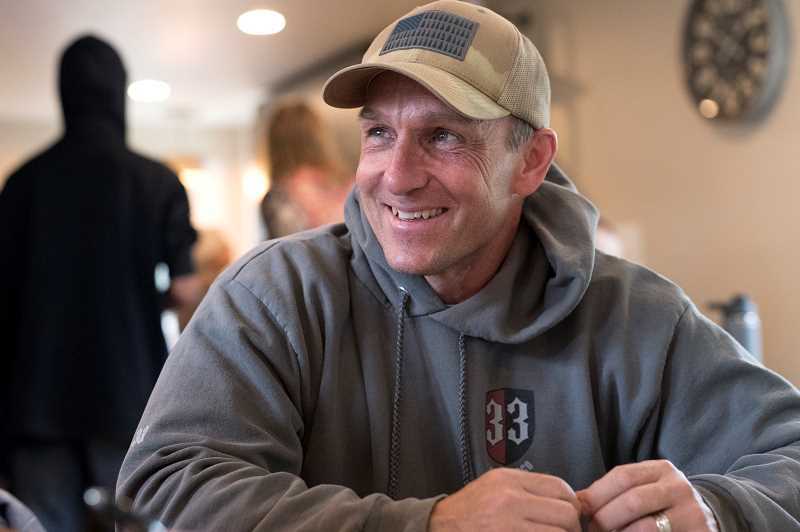 The father of two children, Rowles, 43, said things took a turn for the worst after his divorce, and that the center provides a place to chat and get some food. "I work nights (driving a truck) so I don't see nobody," he said. Rowles was one of those who volunteered to help refinish the home's hardwood floors to get the center opened. He said he plans to move to Ghana soon to become a mineral extractor with the ultimate goal of using some of the money he earns to begin a homeless shelter in that Western African country. 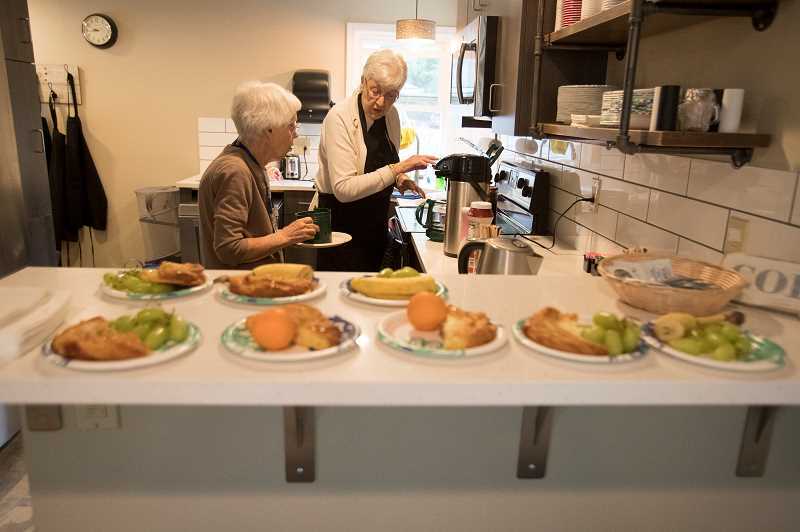 Renee Brouse, a Just Compassion board member who is also the executive director of the Tigard Good Neighbor Center — a nearby homeless shelter for families — said she's pleased the organization has reached the point of opening the center. "This has been their dream," she said. "We knew we wanted to be in the Tigard core (area) because this is where the biggest (number) of our homeless friends are." Prior to the center's opening, Just Compassion coordinated a twice weekly homeless day center at Tigard Foursquare Church. Plans are to eventually use the center as part of a severe weather shelter system for the homeless, similar to others that are spread across the county, as well as to have expanded hours. "Our goal is to be open four to five days a week," Watson said. Just Compassion is also part of the group, along with the City of Beaverton, that operates a severe weather center in that city. Meanwhile, plans are underway to launch a capital campaign to purchase the resource center house, Brouse said, pointing out it will take some major efforts to bring that dream to fruition. Previously, Just Compassion raised $27,000 with its "Supper in the 'Burbs," a dinner and auction that's planned again on Sept. 22. Hopes are to have the necessary funding by August of 2019. Immediate plans call for renovating a main-floor bathroom and bringing it to Americans with Disabilities Act (often referred to as ADA) standards. 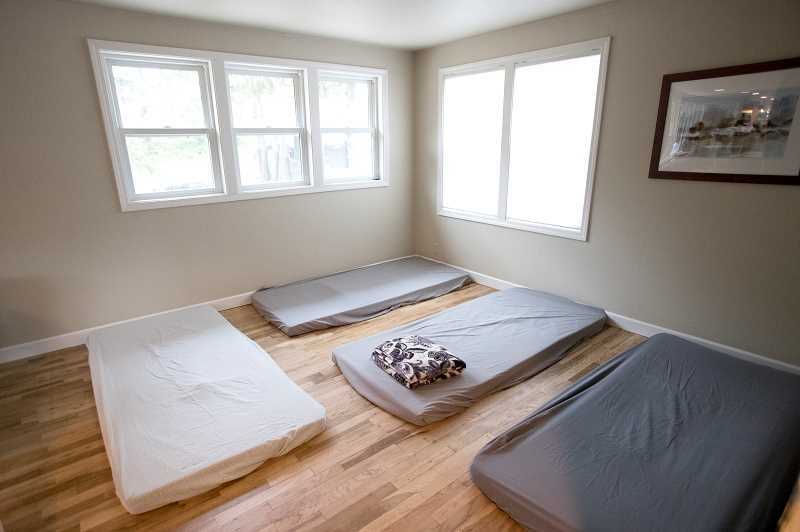 There now is a main-floor bedroom that has mattresses to allow daytime visitors to catch a nap. Those will become overnight beds if necessary, as part of a severe weather shelter system, which typically runs from November through March. Other plans include adding lockers and completely remodeling the basement, where a laundry room and ADA showers will be added. Watson said the Home Builders Association of Metropolitan Portland have been generous in helping out, including providing a $35,000 grant, providing a project manager and building captain who will lead the charge in the downstairs renovation. Anderson Windows made a donation of windows as well. "They came out and installed all for us," he said of the window company. Other companies who have helped out include Woodfeathers Roofing Materials of Beaverton and Fisher Roofing in Sherwood. Siding was donated by James Hardie. Meanwhile, Catalyst Construction has agreed to build a porch, deck and wheelchair ramp. In addition, Watson said the City of Tigard has been supportive of the group's efforts. With plans to purchase another identical house next door on a total piece of property that includes 0.59 acres with a backyard that includes a natural spring, Watson said plans are to transform the property into a Just Compassion campus that could be used for anything from providing affordable housing to a family shelter. To donate or volunteer, visit justcompassionewc.com. During a recent Tigard City Council meeting, Police Chief Kathy McAlpine told the council that crimes against persons were up 51 percent from January through July of 2018, compared to the same time last year. "A lot of that is still simple assaults but at least a third to almost half are related to individuals who are either transient and exhibiting mental health (issues)," she said. Examples ranged from one individual who went behind the counter of the Plaid Pantry and pulled the clerk's hair to a transient who hit a young mother holding her toddler as she was walking down the street. "Again those are the kind of assaults and upticks we're seeing and that's right in line with the societal calls, they're still at about 59 percent of all of our calls," she said. While the city had hoped to be able to add more police resources to deal with homeless and transient issues, budget cutbacks have put that plan on hold for now. "Our hope was to create staff time for a homeless outreach team, but with the levy failure the focus in the police department now is to maintain minimum staffing in patrol," said City Manager Marty Wine. "Once we can achieve that, we might be able to focus on this as well." Voters said "no" to a city levy in May. Still, the city does spend a significant amount of time dealing with issues involving the homeless or transients with McAlpine saying previously that one officer alone documented working 120 hours on those issues in February alone. Both Rob Watson and Renee Brouse, board members for Just Compassion, a local agency that addresses issues of homelessness, agree that the general public may at times be ambivalent towards the plight of the homeless because they've had encounters with individuals who are having mental health issues or are battling addictions. "They see the behaviors that are exhibited and are reluctant to help," Brouse said. "There are so many barriers and reasons for the homeless situation." Brouse noted that the number of homeless children in Washington County increased by 200 over the previous year in Washington County with a head count in the spring showing 522 homeless individuals spread throughout the county. That involves those living on the streets or inside cars and doesn't account for so-called "couch surfing" or staying at other locations. 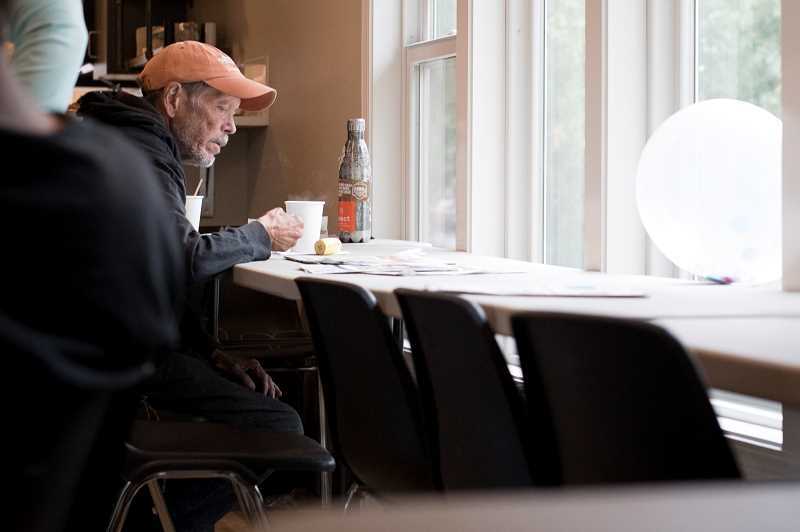 Brouse said those working with the homeless sector of the population generally frown upon the word "transient," saying they prefer terms such as our "homeless friends," "the unsheltered" or the "un-permanently housed." Watson said if people have addictions and if homelessness is the result, those people begin to feel isolated. That can create a whole set of other issues including those involving mental health. He said the goal is of Just Compassion is to help the homeless turn their lives around.